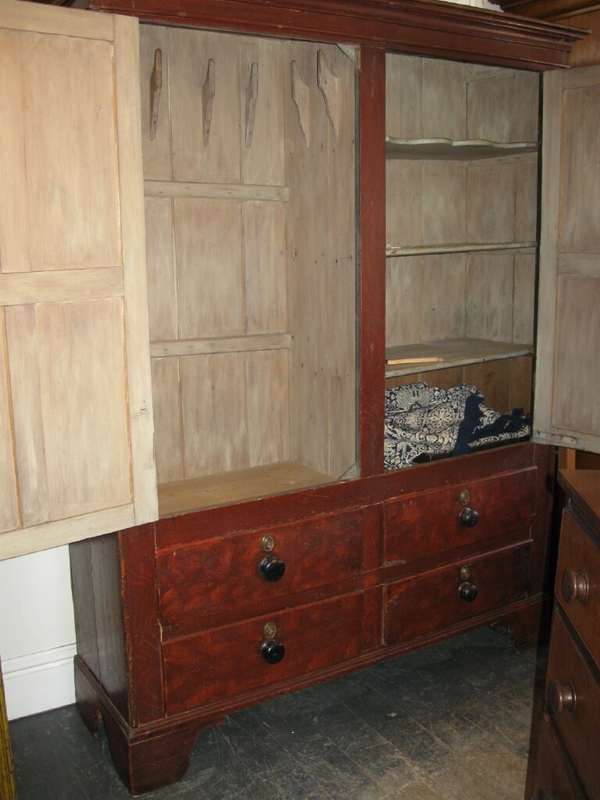 Great size on this English pine wardrobe in an old paint. 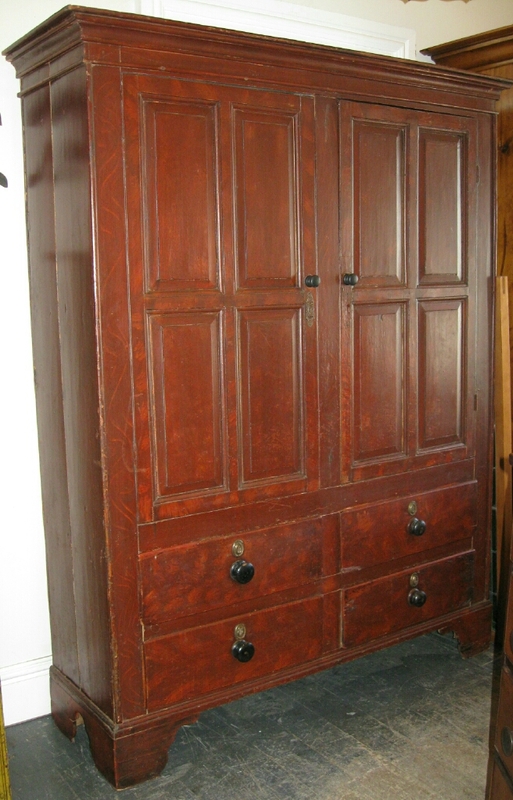 It has tons of storage with four drawers and two doors. Circa 1870.